There are currently no setups for Ford Falcon XB GT 1973 The last of the V8. Add a Setup. 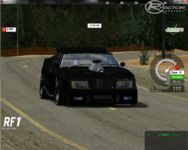 There are currently no car skins available for Ford Falcon XB GT 1973 The last of the V8. If you are a painter you can share skins for this mod via the Car Skins area. Visit the Spray Booth for painting tips & tricks. How can I get in contact with Jose Lopez? Well , what i´m missing are the other MFP Vehicles , but maybe they´ll come. I have a drama. Car is all black, no colours what do ever any solutions? First of all thx so much for this awesome car which I have been waiting for so long. If u don't mind I would make these suggestions for improvements (I really dunno what actually can be done so sry if things are simply impossible): Maybe adding sirene sounds of the movie , maybe flashlight LED when in action mode. Maybe better setup options.Turboboost to go like crazy fast as in the movies. A more detailed and better looking interior. And most of all - arms and a driver figure (Max) that also can be seen in the replays. And for the trackbuilders out there - please make track(s) like in the movie for more real "Mad Max" feeling. A Mod with more cars and then chase them bad guys - that would be awesome too,right? All this is not meant as critics in any way - just my opinion and kind suggestions. Thx a lot and keep it up! U rock! Ive never seen it before but it looks like a cool blast!